I am a UCC pastor in Spring, Texas. 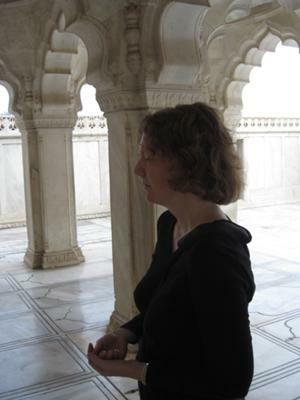 My husband and I visited India in February, 2011, to experience the birthplace of so many religions. We toured the Agra Fort, where we were told that the king built a certain part of the fort especially for the Muslim women in the royal court. 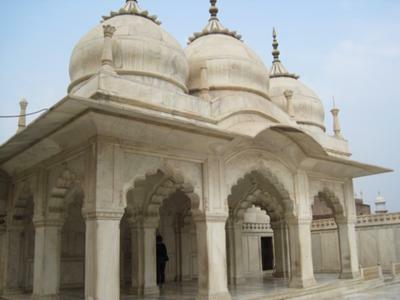 This is a picture of the women's mosque for the royal women at the Agra Fort. There was something so sacred to know that Muslim women came to this place by themselves to worship. I invited the spirits of those women long ago and the Divine Feminine as a way to honor all of those sacred spaces women have created just for ourselves.